Applying for a tourist visa for Korea is fairly easy for Filipinos. The Korean Embassy simplified their procedure for South East Asian countries to promote their country’s tourism. Because of this, Filipinos are issued multiple entry visas that are usually valid for a minimum of 1 year to a maximum of 3 years. My experience was pretty good considering the number of people at the Embassy when I was applying and claiming my passport. I arrived before 830 in the morning and was out around an hour later. Same with when my passport was released, it didn’t take more than an hour. 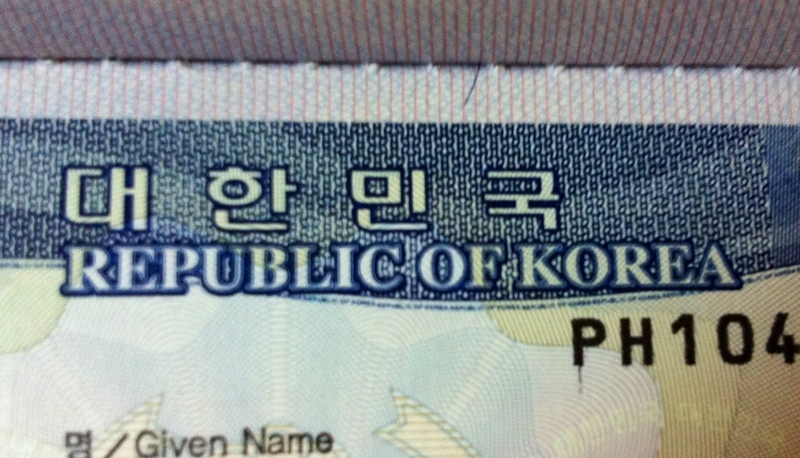 This entry was posted in Visas and tagged how to apply for korean tourist visa, korean embassy manila, korean tourist visa, korean tourist visa application, korean tourist visa for filipino citizens, korean tourist visa for filipinos, republic of korea embassy, tourist visa for filipino citizens, tourist visas for filipinos, visa application for filipinos by elawela. Bookmark the permalink. hi! im planning to visit south korea in a few months with my students’ family who invited me to.. my worry is that im employed as an online english teacher..although my employer issued me an employment certicate, i couldn’t present an income tax return since the company isn’t registered here in the phils..all my other requirements are complete including a notarized invitation letter from my invitor..is there a chance to get my visa approved? any advice?? thanks in advance! If not, I think there is still a possibility that you will be approved as long as, like in most embassies, you show them that you have reason to come back to Manila. Also, I checked their website, they uploaded a new document about visa denials. Maybe this can help you as well… http://embassy_philippines.mofat.go.kr/eng/as/embassy_philippines/visiting/visas/index.jsp and click Visa Denials. Hi! I’m 22 years old, Filipina. I used to work in an English academy here in the Philippines. Now, my Korean friend (who was my students before) invites me to visit her in Korea for the reason that she wants me to meet her family especially her kids who study in England and going back to Korea this coming summer. I heard that a personal bank account is needed to apply for a tourist visa but I have no enough money in my bank account. She said that she’ll be the one who’ll sponsor everything. What are the things that I should do to make it possible, and to avoid being denied? It’s my first time to apply for a visa and to travel abroad. Thank you! Hi I’m 20 years old filipina and i’m planning to visit Korea next month I went to Korean consulate today because I’m asking about the requirements my problem is i don’t work. I’m still student but i stopped this year for a while bec i will go for travel and only who pays my trip is my american fiance . My question is what kind of documents i will show to them so they would allow me to travel..
May i know if it is okay to just send the application form and other requirements thru a courier? And may i ask too if how much is the visa fee? Please help and advice. Thank you so much! Hi! I’m not very familiar with the rules regarding invitation letters from Korea but since she is a citizen there is a big possibility that a letter from her would be sufficient. But maybe you could check the website just to be sure 🙂 Regarding the show money, since it’s a bit expensive in Korea I would suggest adding a bit more just for your application– maybe borrow from parents, etc. Unless it is indicated in the letter that your friend will be sponsoring your stay completely it might not be enough. But then again it’s a plus that you have a stable job 🙂 Good luck!! Hi! As long as your requirements are complete and you show that you have a reason to come back to the Philippines I don’t think it will be very difficult to get a visa. Regarding the bank deposit – for Korea they don’t have a guide for the amount needed (unlike some embassies for European countries). It really all depends on how long you are planning to stay there. Right now the exchange rate is around 26 pesos per Won so you need to have enough to be able to support you per day (food, transportation, shopping, emergencies, etc). Regarding the employment cert and ITR, I think that’s a bit tricky. One possible option I can think of is still showing your student ID, documents and explaining that your parents will still be the one to shoulder your trip since you are still fresh graduates (graduation gift/trip). But I would still suggest that you call the embassy and ask them directly about your situation. They’ll be able to explain things better. Don’t worry, they are very easy to talk to and for visas it’s really better to know all the details beforehand specifically from the embassy 🙂 Hope this helps and good luck! You didn’t post my reply. Tsk tsk. Hi! I think that if her dad is an agent that would be okay as long as you submit supporting documents that prove that he is one – example id? papers? or anything that can support or show what he’s handling (is he a freelance agent?). Then maybe your friend could also indicate that your dad will be the one sponsoring her trip. As I mentioned in the other inquiries, the embassies want to see that you have a reason to go back to the Philippines and that you will be able to support your stay in their country 🙂 Anyway, hopefully her dad can provide some kind of written proof of his work 🙂 I think a lot of people do not have employment certificates esp. if you work freelance, a professional or a businessman. I would like to visit Seoul for 10-15 days max. I been in France last April 2003 (sponsored by my bf). I’m a frequent traveller since 2003 to 2012. I been in S.E.Asia visa issued upon arrival like Thailand,Hongkong,Macau,Singapore,Indonesia and Malaysia. My concern is that i have ITR from the Corporation and its active to the present time. I dont have ITR 2316 that they required cause bf is supporting my travel expenses . How much would I need to have in Bank Certificate to be sure to have a granted visa? Hi ma’am.. Ask ko Lang PO.. May invitation letter PO ako from a friend in Korea… Complete natin PO requirements ko, ITR, COE, bank cert.. Dun PO ba sa application form, guarantor ko yung friend ko na Korean? Kahit na ako mgpprovide ng ticket? Sakanya Lang PO ako magsstay once na Andun ko?.. I’ve been to Korea last Dec 2006. I was given a 90 days tourist visa pass. But I stayed there for more than 90 days. I went back to Philippines last Sept.2007, It’s almost five years now. My question is, can I re apply a business visa now? I have stabilized my business and finishing my M.A. need to gather data in my thesis. accommodation and support her with the financial implications. information in relation to the tourist visa for a Philippine national. She has traveled to Holland and Germany within the last 5 years. we cant finf the application from on the Embassy website. hello.. im here in hongkong right now working as a nanny, my friends and i planning to visit korea this october, is it possibly to apply for a korean visa here in hongkong? and what documents do we need? please help.. I am planning to visit Korea next year and I already booked my hotel for 5 nights. I am currently working and living at Dubai, planning to fly directly from here to Seoul. I will be seeing filipino friends around who will also coming from diffrerent countries. What are the chances of getting a Visa? Will it be difficult? I am a law graduate and soon after the bar exams I’m going for a 5-day vacation or probably a week vacation in South Korea. I don’t have the employment certificate, personal bank account or the ITR. My parents would actually sponsor my stay there. Would it be possible to pass my parents’ documents instead? hi…im planning to apply a tourist visa this coming january… i have all the requirements needed and i have traveled japan last summer…is there a big possibility that my visa will be granted?thanks a lot…..
can i apply for a multiple entry visa? Hi! I just submitted my application last thursday and currently awaiting judgement! It’ll be my first time out of the country in case I get approved and am just worried because in some forums, they say that it’s harder for us to get approved. Is that true? I have a stable job and about 50k in my bank account. How big are my chances of getting approved? hi Im planning to have a vacation in korea for at least 5-7 days. i am an ex OFW ( taiwan ) I have certificate of employment from 2005 to november 2011. May I know if is ok if I dont have ITR? my visa got denied and I was hoping to re-apply again after a month. According to the paper attached, I can do it earlier than 6 months if I have a different purpose of entry. My original purpose was to simply sightsee. If I secure an invitation from an academy in Korea stating that I am invited to an event, would that qualify as a different purpose of entry? 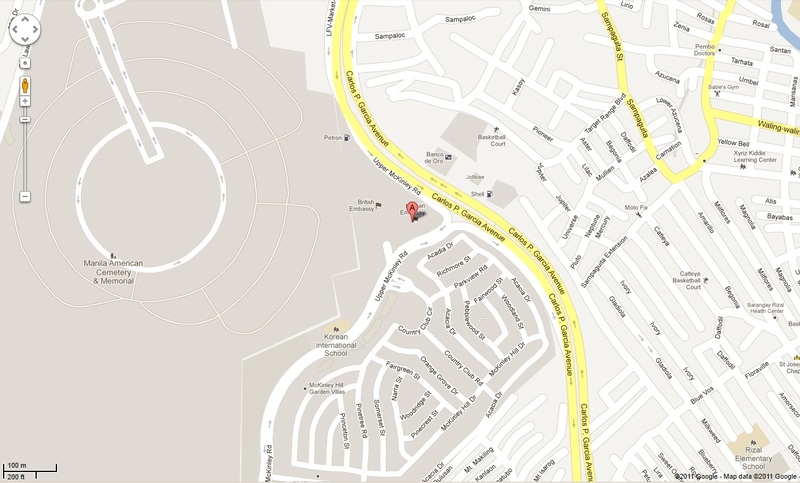 Is it possible to get visa upon arrival? Hope to hear from u soon. hi,i want to go in korea with my co-business partner and im the owner of my business i want to know if i will apply for tourist how many days is the processing of paper.what is the best way of purpose of entry. Hi ela, i want to ask how many days are processing of tourist visa in korea, im the owner of my store selling car parts .what is the accurate documents to be prepared. hi~ i jus wanna ask abtbthe passport thing… What if my passport hasnt been valid for 6 months? Hi. My name is ySa.I am 23 years old.I am a freelance online teacher of different races of student especially,koreans.I’ve read all the requirement written in your site. Since, it is my first time to go other country i still have some questions. My student in korea asking me to go in their country so that, I can teach him personally(man to man) and added with that, he has a lot of friends who wants to study english as soon I get there. And my student will covered my house and food expenses. Would that be fine..or I am going to be deported if that will happen?Because, I am not yet sure if korean embassy allow that situation. Also, do I need to pass my certificate of employment in my previous job last september as a offline english teacher..
and what reason will I quote in my application as a tourist in korea.or what.? and isn’t tourist visa last 90days?, is that applicable if i am a filipini? hi good day..!! i have some question regarding tourist visa..
i am working here in riyadh almost 3 yrs..
i want to spend my vacation to korea this coming january. but the req’s needed like ITR? since im working here in saudi we don’t have that one. it’s is possible that we grant may application.? even i am lacking one of important documents? Hi. My friend and I are planning to go to Seoul by November next year. I want to go with my friend via Manila – Korea. That means I need to apply the tourist visa in the Philippines. But I’m working here in Singapore, how can I apply for a tourist visa since I don’t have the ITR and my employment is here abroad?? Please help. Much appreciated for a reply. Thank you. I am planning to go on JULY 2013, How long before should i apply for a visa? hi! my family and i are planning to go to incheon in april, but i’m going back to riyadh this december so i won’t be able to apply for a visa now. i’m planning to apply for a visa when i go back to the philippines on the 3rd week of march. do you have an idea on when they will be releasing the visa after you’ve applied? thanks. I want to go on Korea. I am 18 years old,and still a student. Does,applying a visa will take me difficult? Hi, me and my American fiancé plan to visit Korea next month but I don’t have work this time I am doing online business and I had Sweden visa but already expired and I also Indian visa do u think is this ok? I can also give bank statement. Pls advice me. i would like to ask about the length of stay…im planning to visit korea this may during summer vacation im a bit confused with regards to the multiply entry visa…because my plan is to go there may and go back there december im already preparing some of the documents needed but the ITR typically they release it march before the end of the school year…its my first time applying for a visa but i have been to hongkong and macau but those are just open countries…im a public school teacher by the way..^^ so to sum up my questions a)can u explain more about the multiple entry visa?please…and im from cebu so is it ok if i ask an agency to pass my papers? Hi! Im 28 years old,single.my mother and I are planning to go to Seoul for 4day tour. im currently unemployed but im earning from online selling, thats why i dont have an ITR or business permit. But my mother does. We have a joint bank account and has an amount which i think is enough for show money for both of us. My mother has business permit, dti, and itr. Will the embassy still require my ITR and business permit even if i declare that my mother will be the one financing our trip? Hi1 I’ve been in korea in the year of 2010 i only stay for two months..now my sister and korean brother in law wants me to visit in korea again..what reqirements i need to submit? is it the same with the requiremnts of my first visit in korea? i only had visiting visa that time..
Hi! I been in Hong Kong in Vietnam my bf working in Vietnam too. No were planning to go in South Korea to spend time there for holidays. I am afraid if im going to apply for a visa there, the embassy will deny my visa im worry because as of now i don’t have a job so embassy might think that i will not go back here in Philippines. Give me advice what to do. hi, ask ko lang paano yung nagwowrk sa middle east, wala kaming itr eh, paano yun?